I'm still quite divided about the Palm. It's growing on me little by little but I don't think it was planned properly. From an environmental point of view, it's a disaster. 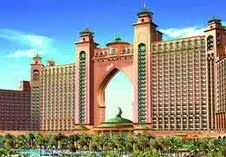 I still remember attending the Dubai World General Meeting in 2008 a few days after the bashful opening of the Atlantis. It felt like being on the Titanic when it hit the iceberg. 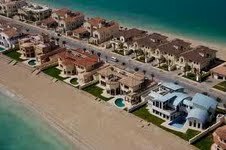 Projects likes The Palm and The Burj Khalifa are extravagant in every way, but it is also what has put Dubai on the map. When you meet an American and you tell them that you grew up in Dubai, those are the landmarks that come to their mind, with such great amazement in the eyes. 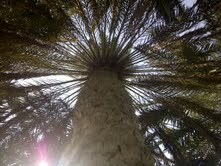 But the environmental downsides make the Palm problematic, which is a shame. It is always a tough balancing act, I guess. 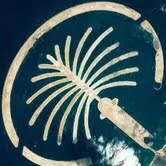 The greatest problem with the Palm,is the greed of having it followed by two larger palms,that made it impossible for people to digest.The World another dream that is silting into the sea is another example of extravaganza. Yet the Burj and the Palm have become icons for Dubai,worth the billions thrown into them.